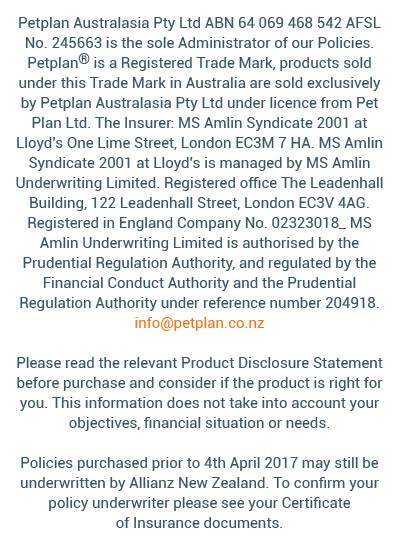 With pet ownership increasing and many people having more than one pet, Petplan allows you to add all your pets to the one policy. A 10% discount per pet will be added if you insure 3 or more pets with Petplan Insurance. At Petplan, we offer two types of cover with a number of additional benefits – 12 month Essential cover and our Lifetime covers. When you have 3+ pets you will receive a 10% discount per pet every year. Having all your pets under the one customer id allows for easier management. We can cover unlimited pets for you. Your pets can each have a different cover level under the same customer id.